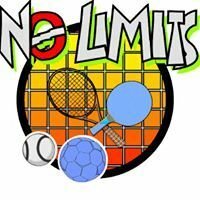 No Limits are a West Lothian based multi-sports club for children and young people with disabilities. The club was founded in 1996 and has a membership of more than 60 people, most of whom come from West Lothian. In the early years we were assisted by West Lothian Council sports development unit. 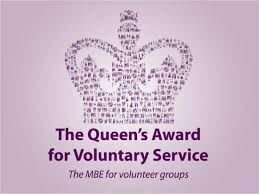 In 2015 we were extremely proud to receive the Queen’s Award for Voluntary Service. Our activities run most weekends across the year, with the main multi-sports section Saturday mornings at the Xcite sports centre in Linlithgow. Our boccia section meet at Bathgate Academy on a Friday evening, whilst our Gym/fitness section meet on a Sunday afternoon at Synergy Fitness, Bellsquarry. At Linlithgow our members get to participate in a variety of sports including, football, basketball, hockey, carpet bowls, new age curling, badminton, table tennis, darts, and rounders. As well as a number of alternative sports taster sessions. No Limits members have taken part in many local, regional and national competitions including, boccia, carpet bowls, table tennis and the Special Olympics. We regularly send teams to the national boccia championships and have achieved notable successes in this sport. The club is run by a combination of parents, volunteers and members. here is also a high level of interaction & support within the local community, which largely helps to fund the club via voluntary contributions and fundraising events. This support has allowed the club to organise more than 52 adventure holidays at Badaguish, Aviemore (2 weekends per year), and at the Calvert Trust centre at Kielder (one week per year) taking on average between 30 and 40 people at a time. As well as our adventure trips, we also hold ten pin bowling and archery competitions. All the information can be found within our newsletters section. Since 2008 we have supplied archery instructors in a joint venture with Lothian Disability Sport, providing weekly archery sessions for adults with learning disabilities in West Lothian, at the Blackburn Partnership Centre. This service is used by the Community Inclusion Team and others. Over the years, No Limits have been proud to serve the community and have been fortunate to have received a number of awards and accolades. The Club was the second club to be accredited to level 3 (the highest possible) with West Lothian Council, and are the first general sports club to achieve the same.